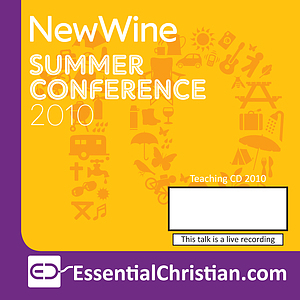 Vital signs of a healthy church is a Rev Chris Pemberton talk recorded at New Wine - 2010 on Church Growth available as MP3 Download format. An unhealthy church is unlikely to see much by way of true spiritual growth. What are the marks of a healthy church? Identifying how we could do church better is critical. The goal is nothing less than encountering the reality of God's presence in and through the life of each church. Here is an opportunity to reflect on the quality of your own church's life and how you might work with others to improve it using material that has been road tested and used in local churches across the UK and beyond. Be the first to review Vital signs of a healthy church a talk by Rev Chris Pemberton! Got a question? No problem! Just click here to ask us about Vital signs of a healthy church a talk by Rev Chris Pemberton.